The first trailer for Sony Pictures Venom film has arrived, and it's largely missing Venom himself. 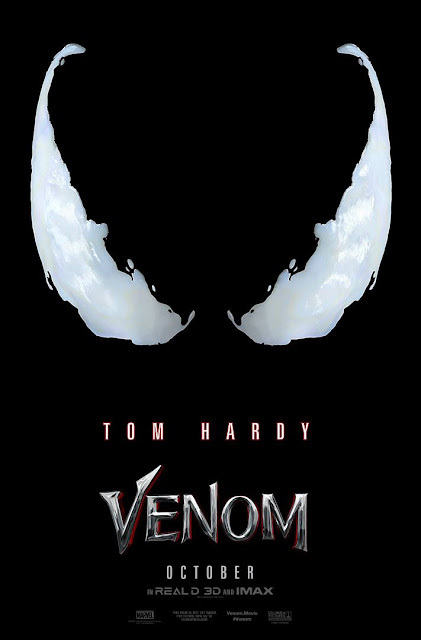 Yes in a strange mood the first trailer for the film starring Tom Hardy as Eddie Brock a.k.a Venom features a bunch of shots of Brock walking, riding, or in a hospital but never actually suited up as the Spider-Man villain the movie is named after. It's an odd move by the film makers to not give us a money shot of the symbiotic character or perhaps brilliant marketing by them depending on how you look at it. Either way Venom arrives in theaters this October.